You are currently browsing the The Pet Product Guru blog archives for the day Saturday, August 11th, 2018. You probably know my thoughts on this subject. I’ve emphasized many times to do your homework before adopting a pet. This is a critical step in the process. There will always be situations where you have no choice but to give up your pet, although this would never be an option for me. Always remember YOU are the only source of love that your pet receives. Before I get into the emotional part of this subject, let see what the experts say. The following is an article published by Pet Finder. Take your pet to the veterinarian for a check-up, vaccinations, and, most importantly spaying/neutering! If you were thinking that your pet might make a good breeding animal, STOP! Why breed from an animal that no-one wants anymore? Why make more unwanted animals in a world where even great pets dont remain very long in their first homes? You want someone to adopt your pet as a COMPANION, not because it might make a good or profitable breeding animal. You are much more apt to find a responsible, permanent home by placing an already sterilized pet. Get it done: its the least you can do, and the best thing you can do. Spaying and neutering also reduces the risk your pet will run away from its next home, and helps to insure that your pet won’t urine mark his new home and thus become quickly unwanted again! If your pet is already spayed or neutered, and has not bitten anyone,try to find a new home for your pet through advertising. Place a classified ad in your local newspaper, and screen any callers carefully. Be completely honest about all your pet’s behaviors, good and bad. No pet is perfect, and people are more likely to adopt a pet they know about, for better or worse. When screening callers, tell every caller that someone has already come to look at your pet, but you are still taking names and telephone numbers and references, in case, so you can call them back. This gives you an instant out if you think the caller is not right for your pet, and hurts no ones feelings. Take a few good, color photos and make some posters. Include your pet’s name (it personalizes him…) and include his best traits, his most endearing qualities, and some guidelines for the best possible home: i.e., no small kids, someone whos home a lot, no other pets, good for experienced dog owner, etc. Be careful in choosing an animal shelter. Visit the kennels, meet the staff, familiarize yourself with the shelter’s policies. A No Kill policy might look good at first, but not if your dog will end up living out his life in the kennels. 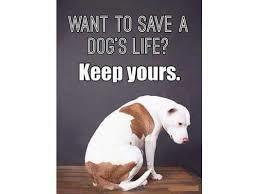 Dogs can deteriorate emotionally and mentally very quickly in a shelter, even a good shelter, and no dog should suffer that kind of stress endlessly, month after month, living in a concrete kennel run, hoping for that magical, perfect home. If your pet is aggressive, or has nipped or bitten someone, EVER, then please get a professional behavioral evaluation before giving away your pet. Check with state and local laws, too, about liability in re-homing a pet with prior knowledge of aggression. Do not try to find a new home for an aggressive animal without professional help. If your pet has a behavior problem, he’ll take it with him to the next home. Many problems are workable, or at least manageable. Contact a trainer or behavior counselor and see if its not possible to work things out so you can keep your pet. Make great oldies a part of your weekend! The best variety of oldies from the 50s 60s 70s 80s and great pop vocals are all in one place! Great oldies play all the time on Edgewater Gold Radio! Take us along where ever you go and download the free Edgewater Gold Radio app. Listen from our website: edgewatergoldradio.com Music can make your day and we play a music combination that is difficult to find!